If you want your next email campaign to stand the best chance of success, using a responsive design that looks good on any screen or device is really important. 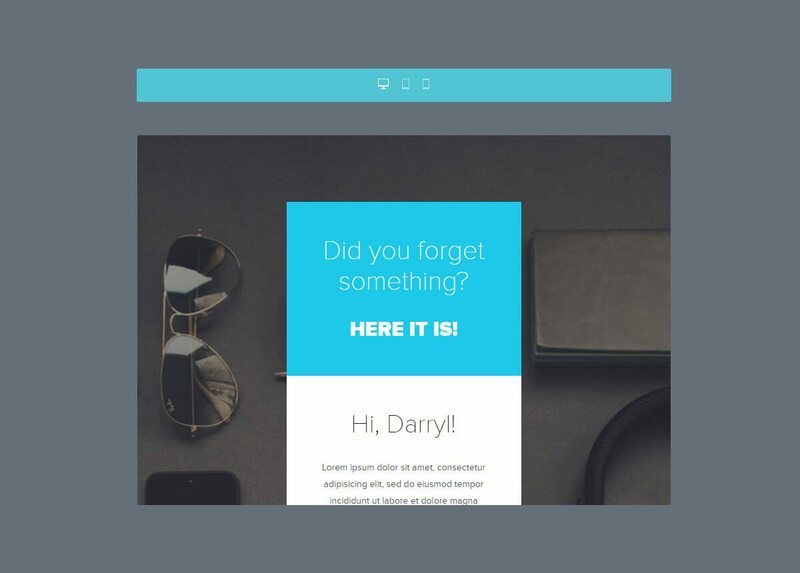 Responsive email design is notoriously difficult, so starting with a template can be a good bet. It’s worth taking advantage of pre-made responsive templates that have already been tested on a variety of screen sizes and email clients, then customizing them to your own requirements. These templates are crafted by highly skilled designers, and many of them include template builders with unique customization options to make tweaking them super-simple! 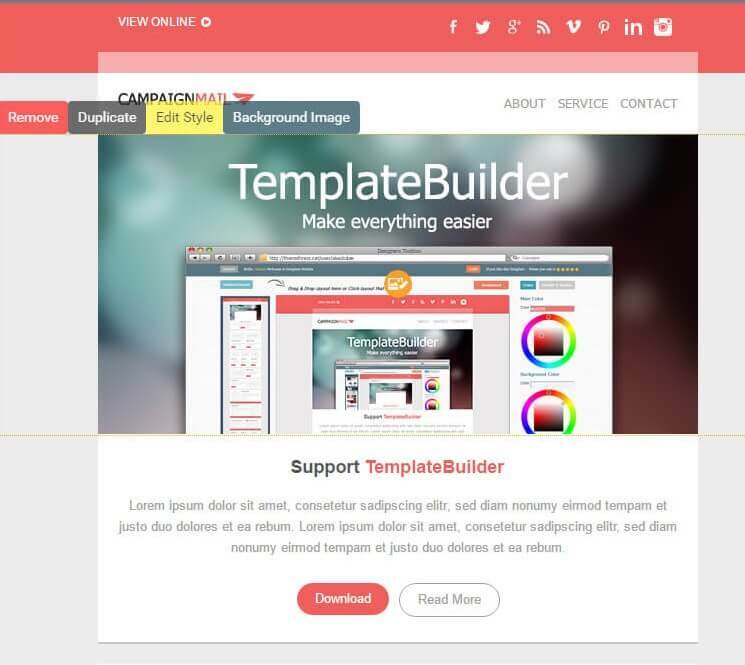 This email template builder contains eight pre-built Layouts, 24 color variations, and over 28 elements to choose from. 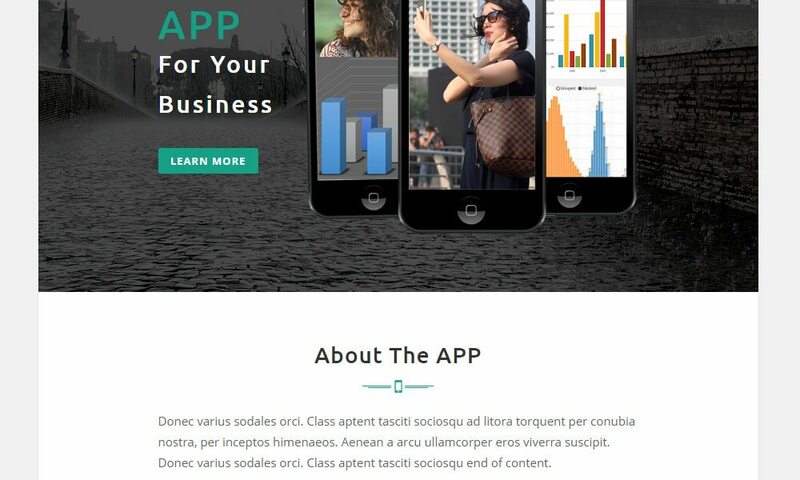 APP is a multi-purpose responsive email template designed for corporate, office, business, and general purposes. These templates have been specially crafted for marketers that want to create campaigns related to online stores, mobile apps and online services, or to improve brand awareness and conversion rates. 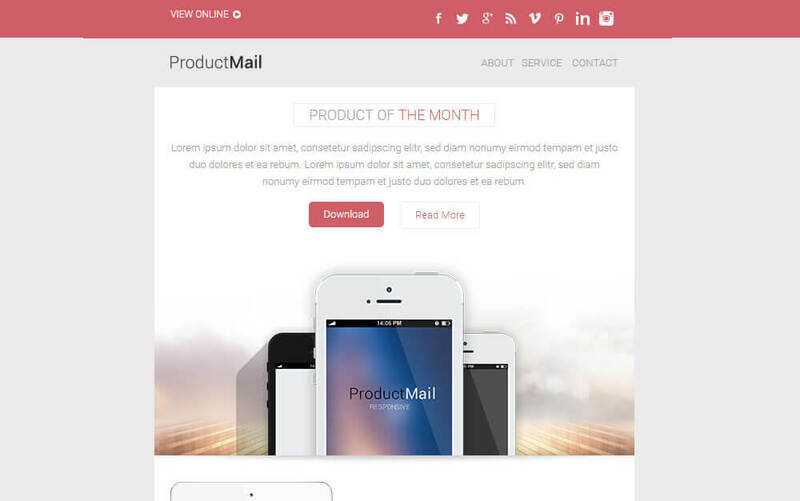 This template is a newsletter template that works on every major email client, or service provider – iContact, Benchmark Email, MailChimp, Campaign Monitor or Constant Contact. 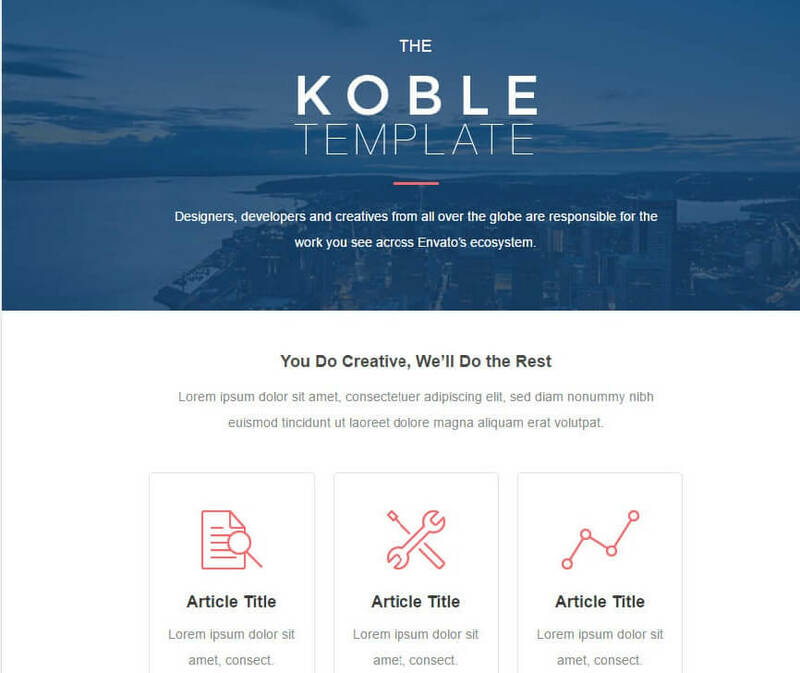 A modular style template that’s easy to realign, edit content, customize color, or even send your campaign directly from the builder. 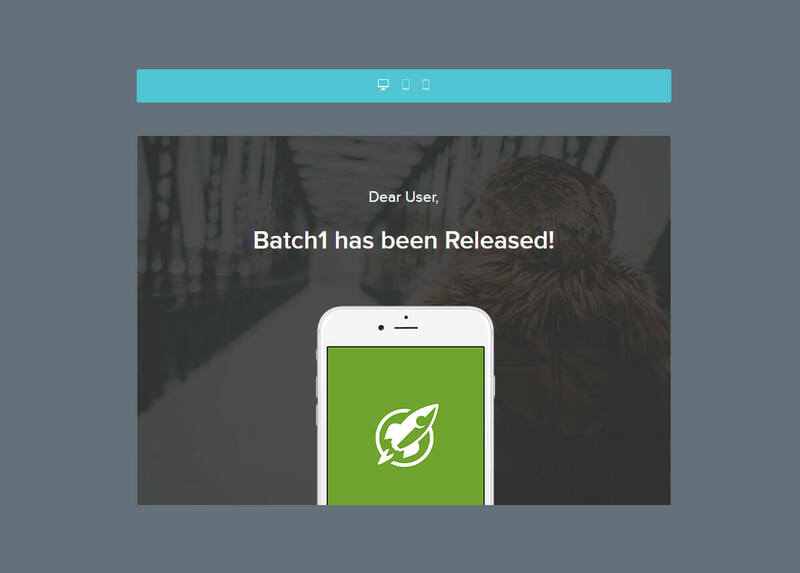 With drag and drop capabilities and plenty of flexibility, it’s easy to make this newsletter template match your needs. This is a responsive template, able to adapt its layout to the screen size of your visitors. 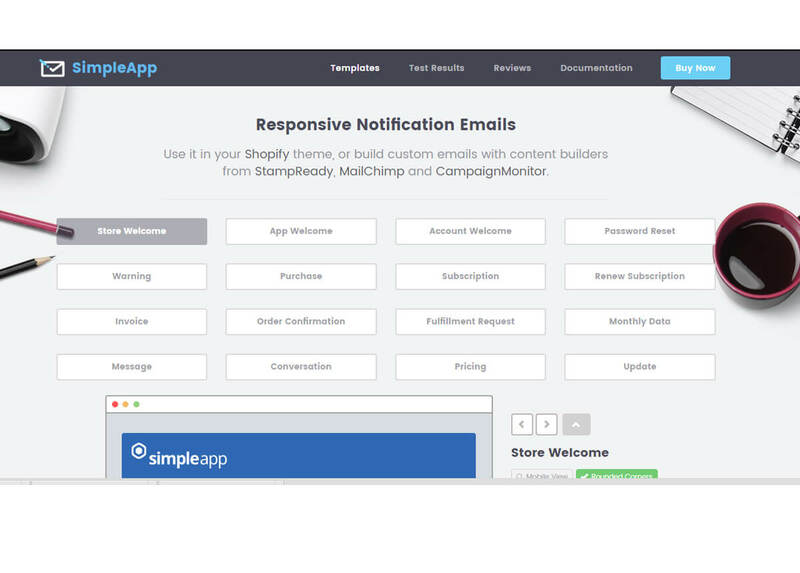 It contains all the features needed to build a successful responsive newsletter. 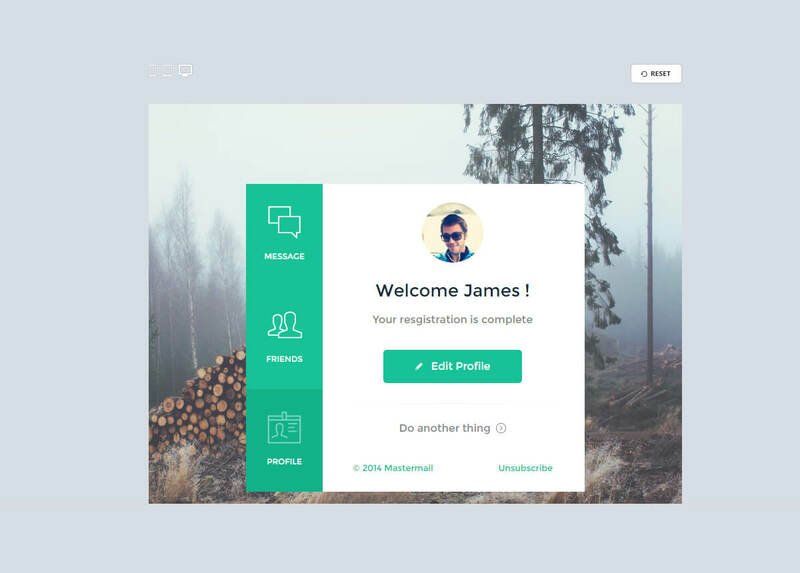 SimpleApp features include rich typography, layout elements, six starter themes, rounded & square corners, three layout styles (compact, full width & minimal) with 16 pre-made templates to get you up and running in no time. 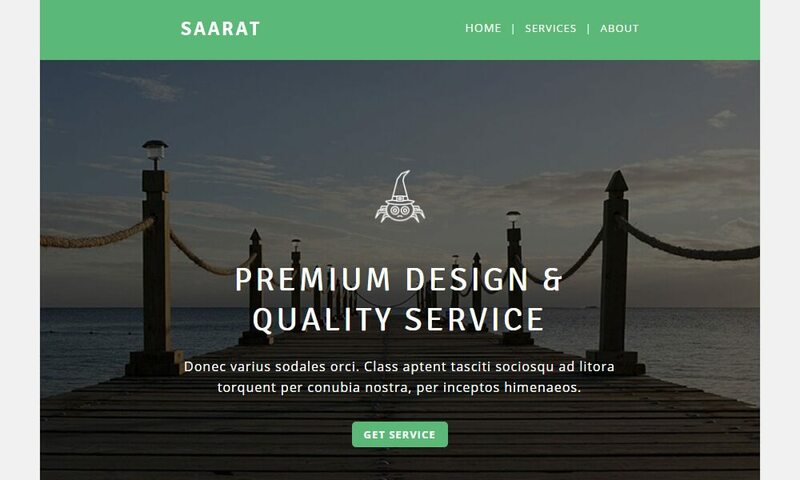 Saarat is a multi-purpose responsive email template suitable for any kind of corporate, office, business and general purpose. It contains one email template and PSD file. It’s compatible with various email clients. Mister is an elegant and responsive template that works perfectly for carving out effective newsletters. 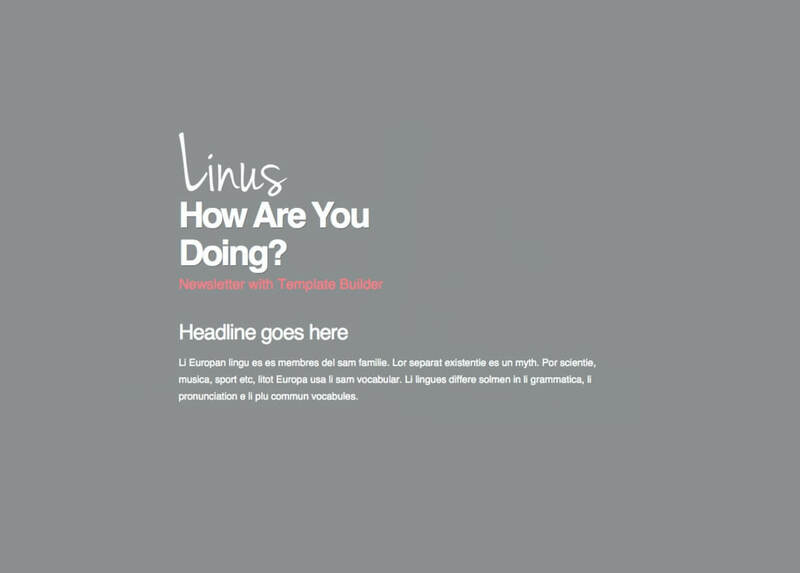 A collection of 120 HTML newsletter pages (5 color themes, 2 background versions of each color, each version contains 12 layouts). Notify comes as a package with six notification mails, you can easily drag & drop or hide the ones you don’t like and export this file. In the theme builder’s left menu you’ll see six tabs numbered from 1/6. Choose your notification email, and style it with this tab. The master mail online editor is a free tool that help you to drag, duplicate and remove sections, edit text and images and much more. 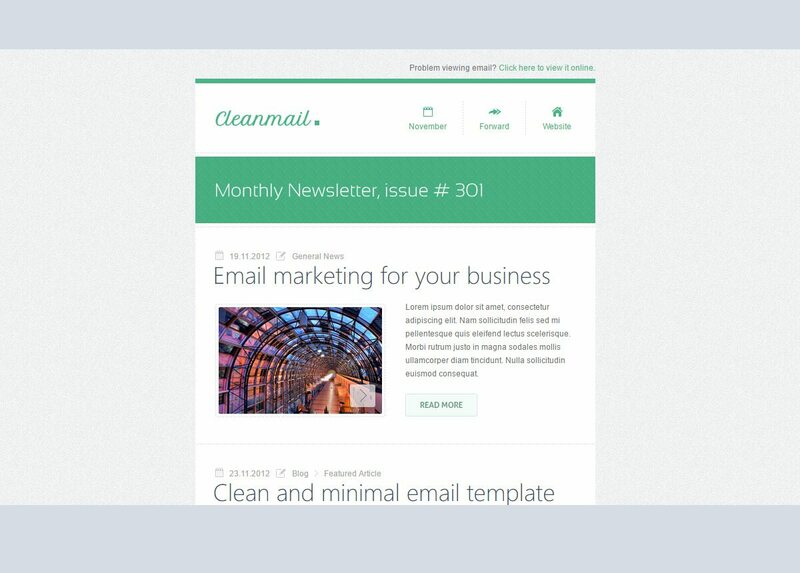 Clean Mail is a minimal email template for professional and personal usage. With 5 layouts, 6 color schemes and 2 backgrounds versions, a total of 60 email templates you can be sure you will find perfect solution for your email and newsletter usage. 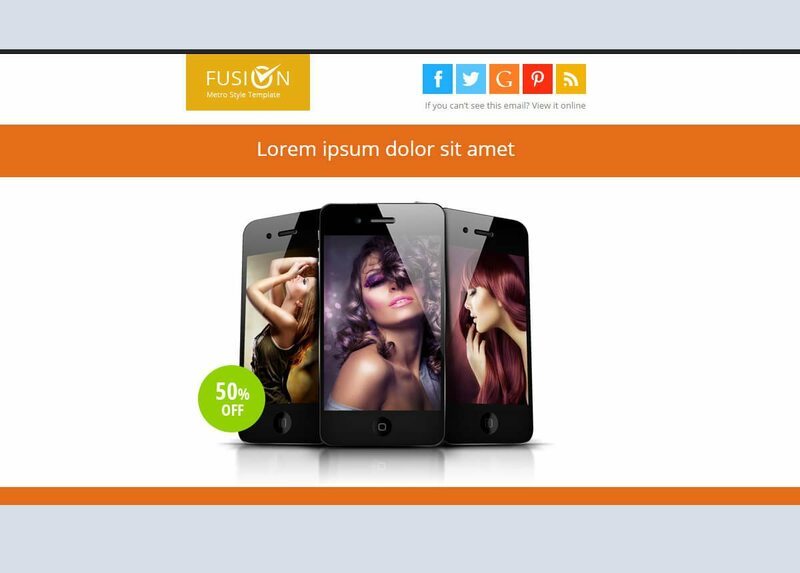 Fusion Newsletter Template is a set of Metro style email templates, It can be used for any product or any type of campaign like e-commerce, affiliate, promotional, news and much more. 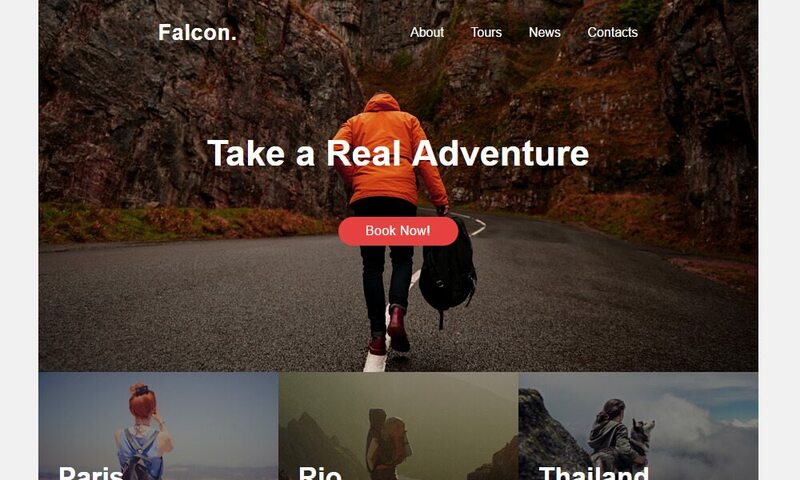 Falcon has a clean and modern design, commented HTML code, a fully responsive style and of course it is compatible with all major email clients and email service providers such as StampReady, MailChimp and Campaign Monitor. 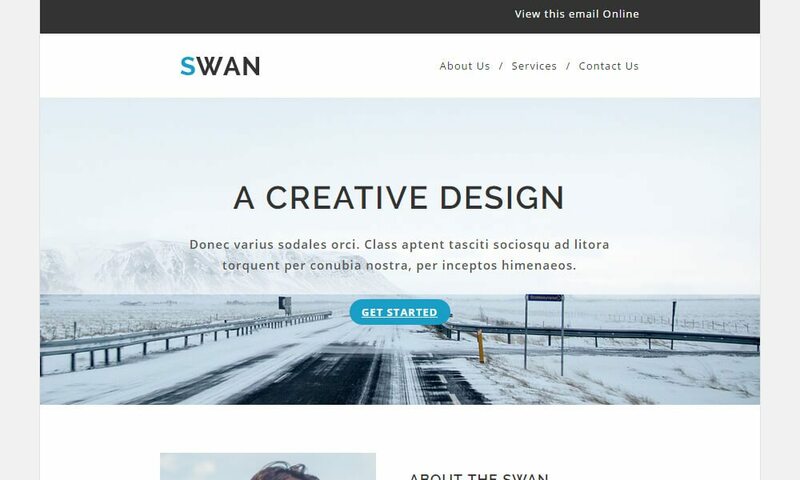 Swan is a multi-purpose responsive email template designed for all range of different businesses and styles. 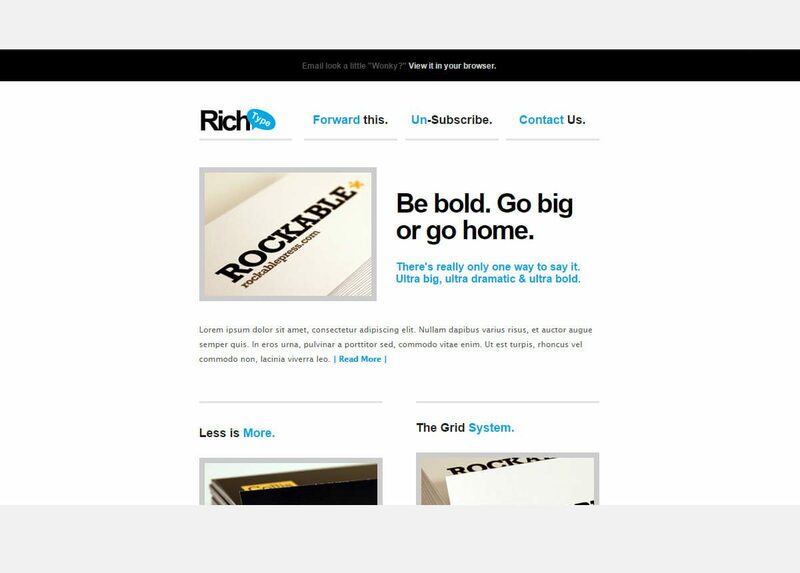 RichType is a bold, clean, and ultra customizable email template. It’s perfect for a wide variety of uses, from corporate newsletters to product advertisers. 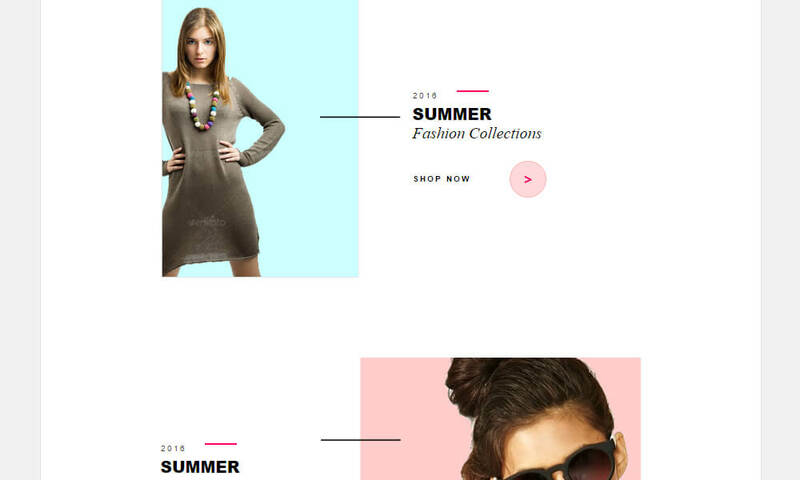 Fashion email templates is responsive email template for creative fashion marketers. 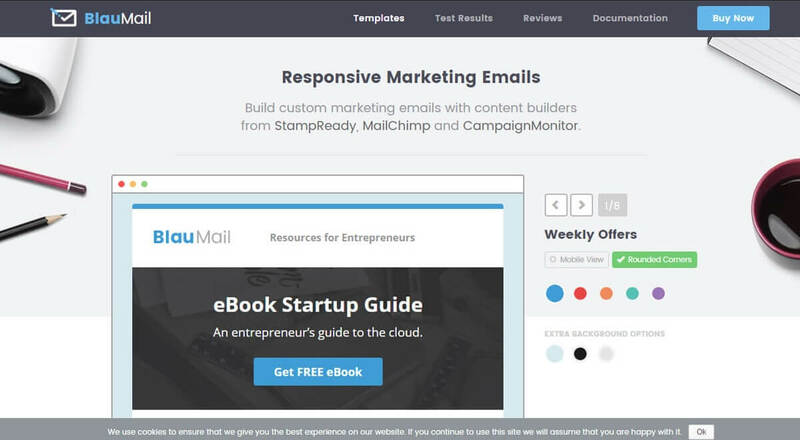 These email templates are compatible with MailChimp, Stampready, and CampaignMonitor. PSD files are included as well! 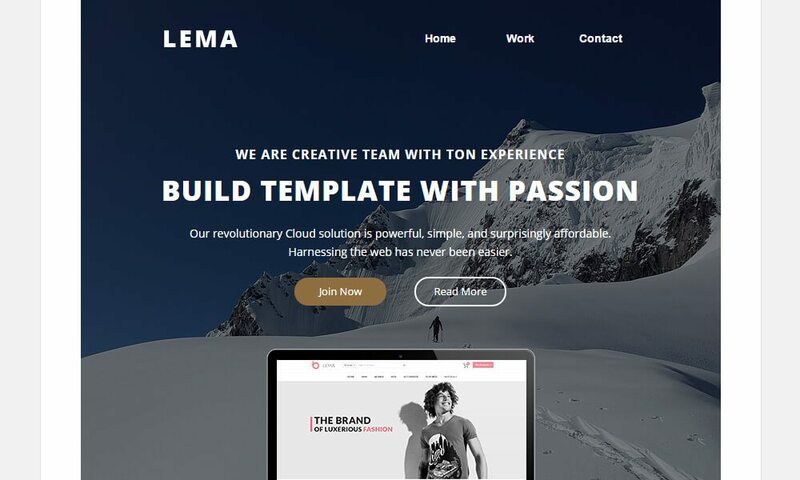 Lema Responsive e-mail template is designed for multi-purpose business. Lema is modern and minimalis, and great for gaining new clients or customers. 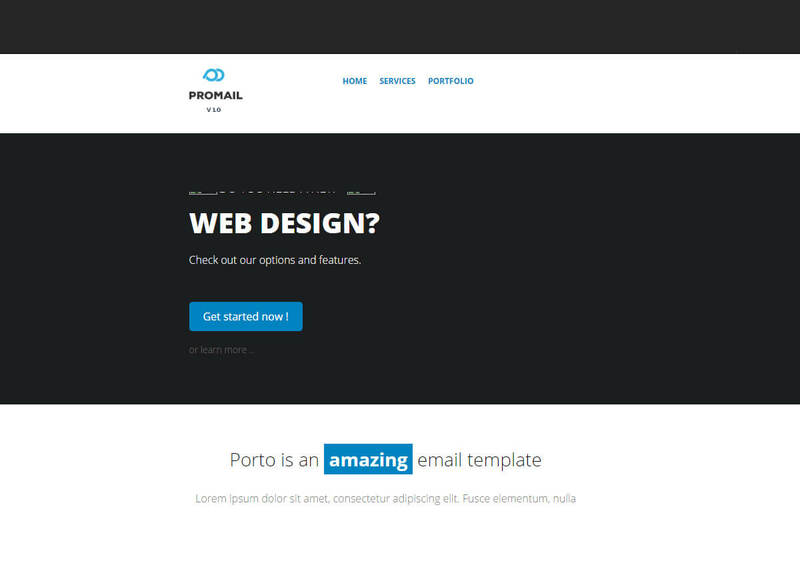 A responsive layout template with drag and drop features. Super-simple to get started with, and customise for your own needs. 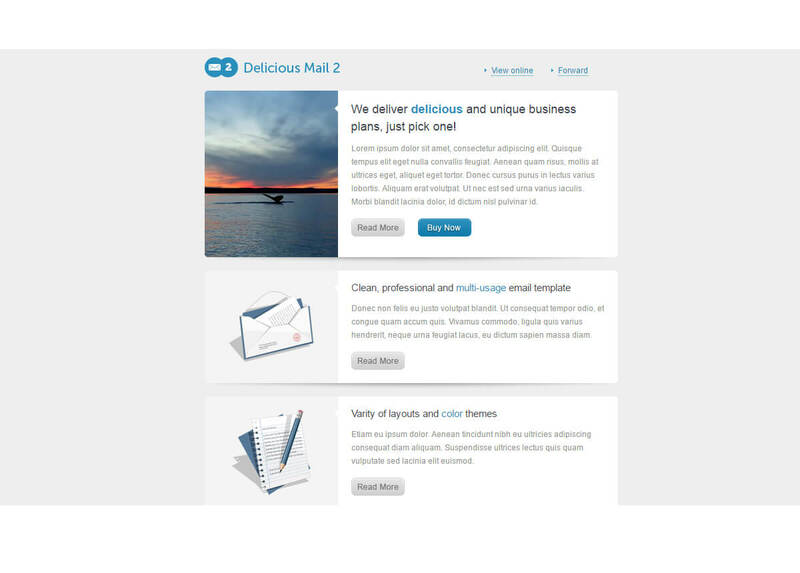 A collection of 20 beautiful business templates that will let you build email newsletters in no time. A module based responsive template with a drag-and-drop builder, and nine pre-built layouts and over 24 color variation options. 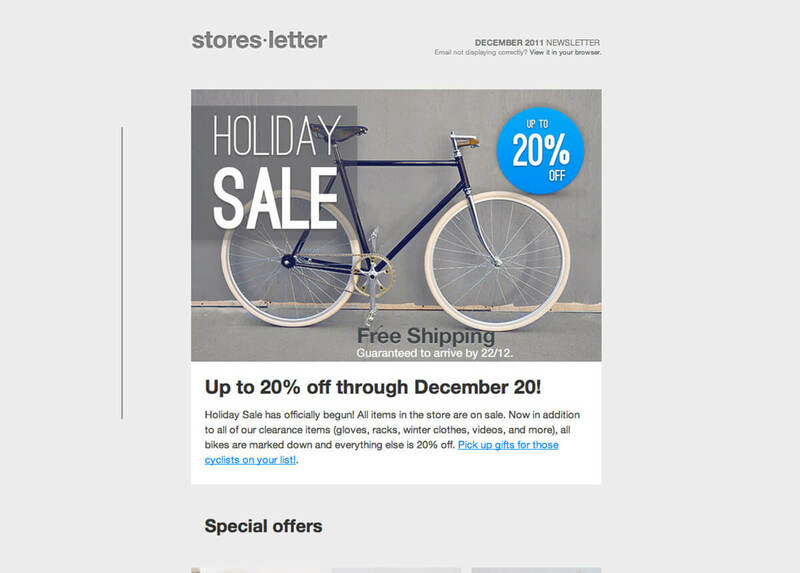 Storesletter is the ultimate template for email-marketing. Designed to sell. Ideal for your products and services.